Sameer, 18 Aug 2011Hi, does this work with GSM networks like Vodafone/ Idea in India? Kindly help as I wish to o... moreworks with Airtel.. but bluetooth won't work if you are unlocking from a US provider.. battery life is bad, UI is cool, LCD can go bad at times but recovers..
Hi, does this work with GSM networks like Vodafone/ Idea in India? Anonymous, 26 Jul 2011does this phone require data plan Most phones with wifi (everyone I have ever seen in my life) require a data plan. @$10.00-$20.00 per month, two year contract, that comes to $240.00-$480.00. This phone can be had unlocked for under $85 for att/t-mobile/gsm and under $50 for verizon/cdm. It is simply math. I just bought it and it seems the best value for the buck out there. 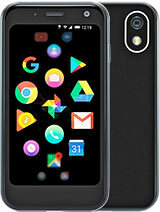 I see that Palm just got bought by HP, so maybe that is why the price is so low, but under-priced in my opinion, relative to what other phones offer with like specs. RSN is HEX MEID on the back of your phone, take the back cover off and battery as well, underneath you'll find it. can we operate skype on palm pixi plus?? how did u brought this mobile??? from any sites??? because i'm planning to buy this mobile from home shop18 and it's a verison no contract version... can i use gsm sim in that???? To all people who think you can cut a buck by buying this phone, watch out.. A lot of phones manufactured in the US are designed specifically for CDMA network standards in the US. Before getting the phone to India do a lot of research... Try googling the phone and check the specs.. It's a good phone to use however ALL models of the Pixi plus does not have GSM.. There are both GSM and ONLY CDMA variants... Check many times and confirm the model code before purchasing this phone..
Abhi, 11 Jun 2011recently i bought this phone, How to send SMS in this phone.i am not able to find option. plea... moreyou simly click the two chat bubbles(blue and white) click the (+)put the recipients # at the tope, and type your message at the bottom. When i first got this phone, i loved it. it was awesome with multitasking and it was my favorite. but then it started freezing, randomly turning off and it had spasms when it would just open and close random things over and over again. after purchasing this phone, i can honestly say that i would not reccommend this phone. Can this phone be unlocked to work in other countries than the US? Anonymous, 18 Apr 2011If you unblock this phone it'll work on any GSM network, including Greece and India (only GSM)how to unlock this for gsm network, guide pls.